Great News! Seaside Invitations monoLOVEgrams have been featured on the Tampa Bay Watch blog. Tampa Bay Watch is located at the southern tip of Tierra Verde right before Fort Desoto in Pinellas County. This beautiful venue hosts wedding ceremonies and receptions, as well as events. There is more to come on this venue as I will begin showcasing local venues and vendors in upcoming blogs starting in November. If you do book your wedding or event at Tampa Bay Watch, you will work directly with Laura McMurdock who is an absolute dear to work with. She is on top of everything which allows the bride one less thing to worry about. 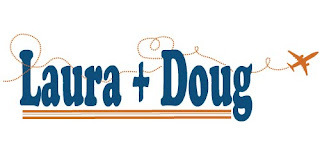 I recently created custom monoLOVEgrams for Laura and her significant other Doug. They wanted something that reflected their personalities which entailed either a Celtic symbol or something to do with Doug's love of flying. I designed 4 monoLOVEgrams for her to choose from and she loved all four and posted them online. Check them out at the Tampa Bay Watch blog. While you are there check out all the great amenities this beautiful venue has to offer.